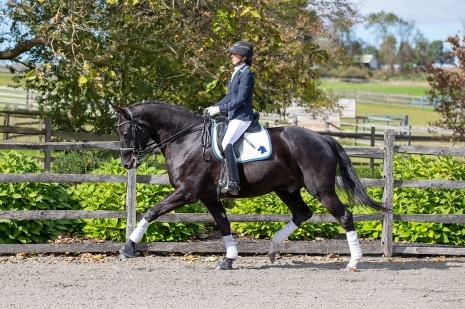 Imported, 2012 Hanoverian gelding with CDI gaits. Sammy, a wonderful mover with CDI gaits, is a 7-year-old, imported Hanoverian gelding by Scolari. He is schooling 4th Level with clean flying changes and is forward thinking, light off the aids and super fun to ride. A handsome boy with loads of talent, Sammy is the perfect partner for an ambitious AA, Jr or YR.